This whole Facebook Live thing is everywhere, right? You’re seeing influencers using it, your business buddies are experimenting with it…there are even ads on TV about it! A lot of research shows that not only video content, but LIVE video content, is going to lead the way in small business marketing. But I get it: it’s intimidating. These are just some of the questions I hear all the time. And I am really excited to share #alltheanswers in my brand new course: Let’s Go Live: Growing Your Business with Live Broadcasts! Let’s Go Live is everything you need to know about how to use Facebook Live to build and grow your business! With this roadmap, Facebook Live will stop being a big intimidating monster and instead will feel like a familiar friend that you hang out with regularly! If you’ve started doing Facebook Live videos, but it’s not quite yielding the results you want, I can help build or tweak your strategy so it’s working for you! As a Communication Consultant and Speaker, I have coached everyone from pageant contestants to CEOs. 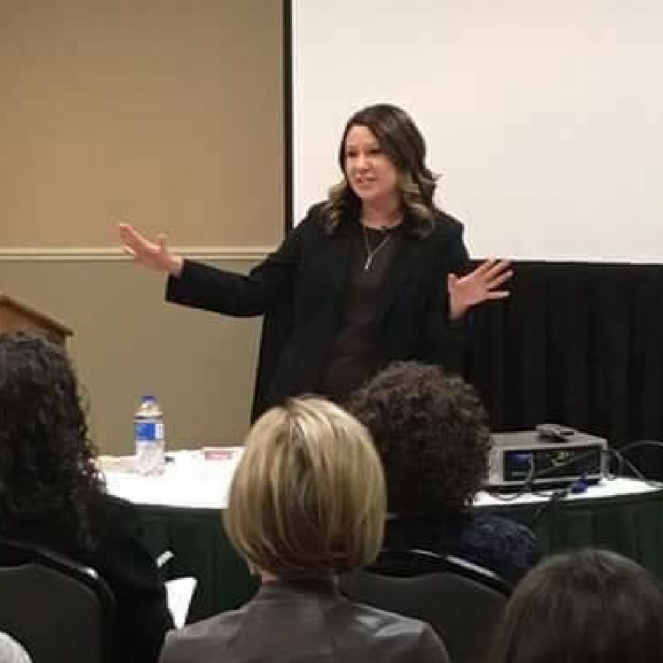 A true passion of mine is helping entrepreneurs and small business owners use the power of connection and relationships to build and grow their successful businesses. And that, my friend, is exactly what Let’s Go Live is all about! After completing the course, you are going to hop onto Facebook Live like it's no big deal! And your clients are going to fall in love big time. If all that's not enough, I even have a bonus for you! The ever-fabulous Sasha Gray, who has over 250,000 engaged followers on Facebook has added a video to this course to teach YOU how to build your Facebook page like she did! I can’t wait to get you loving Facebook Live so your tribe can love you even more! OPTION 2: Buy the course and a 60-minute Facebook Live Strategy Session with me. I'll learn about you, your business, and your goals, and we'll work together to brainstorm a plan for you to best utilize Facebook Live to achieve your Facebook Live goals. You're not alone! Every purchase option includes membership in our EXCLUSIVE Facebook group, created just for people who purchase this course! You'll have the opportunity to get your questions answered, receive feedback, practice going Live, and be encouraged throughout your Facebook Live journey! You'll have ongoing access to me through that group, and I'll be there to support you every step of the way. Refund policy: We do not issue refunds for digital products, strategy sessions, or coaching.